As I write this email, the sunshine is streaming through my office window at the church. Oh, what joy, but why am I inside? Hopefully, you're out and about enjoying this crisp, but completely clear fall day? We get an extra hour of sleep with Daylight Savings Sat/Sun. this weekend. Ladies Retreat is Fri.-Sun. at Macleay. Sunday pancakes and pajamas for the kids. I just realized that three out of the four include good food and great connections together. Join us for Communion and our sermon series: Nehemiah - building/battling/belonging this Sunday at 9&11 for Celebration Services. Our series in Nehemiah launched last week, and this week we will continue to Build, Battle, and Become! There are so many great activities and events in the coming weeks; we hope that you mark your calendars. Have an incredible finish to your week! Looking forward to seeing everyone this Sunday. LAST WEEK: Pastor Aaron shared an inspiring message Sunday about being rooted in God's marvelous love. (Eph 3) If you missed service, make sure to listen online at www.gateway4.com or on the Gateway APP in the iTunes store. THIS WEEK: This Friday, Gateway will host our first Golf Benefit to help raise funds for Cambodia Orphans in January and building a home in Mazatlán in March 2018. Register online to play, sponsor, or join us for lunch. Tee off at 8:30am / Lunch at 1pm Salem Golf Club. *There's still time to dive into a LIFE GROUP. Call the office for times and locations. Rooted, Alpha, 'I AM' women's community Bible study, Men's SOAP, Rooted Youth, and more. NEXT WEEK: The Rooted sermon series continues Sunday, Sept 24 with Pastor Stacey bringing a practical and prophetic word for the Gateway community. Join us at 9am or 11am. We will have more giveaways for those in attendance during the start of service. Today, many children in the Willamette Valley will be back to school. My prayers are with these students and parents as they begin the FALL schedule. It’s the time of year when backpacks overflow with supplies and classrooms fill with students! As parents, we plan and purchase. Some labor over the preparations; others have barely enough time to prepare at all. We make choices and selections for school settings, classes, teachers, and extra-curricular activities. And now there’s not much more we can do except begin the routine. Start the day. Only there is one more thing we can do, whether we’ve done it before now or not. We can pray. Pray for our hearts as parents who are trying our best not to worry and fear over our kids and their education. Pray for the impressionable minds of our children who are learning and cultivating their thought processes. Pray for all those involved in our educational experiences, whether it’s the bus driver, teacher’s aide, school secretary, nurse, principal, therapist, or teacher. Whether we’ve chosen home-school, public school or private education, let’s pray this prayer together over our children and our role as parents in their school experience. School has started once again and we praise You for a fresh beginning. May our hearts remember to seek you first each day. We praise You for every individual involved in our education; and we ask for the wisdom, safety and protection only You can give. Thank you for giving us strength to meet new milestones. May we rely on You to help us move peacefully through each routine and to master every challenge. Thank You for loving us and giving us one another. Thank You for the gift of a new school year. Did you see it Monday morning? If you live in the Willamette Valley, you probably didn't miss it. I have been asking people to describe their totality eclipse experience and some of the words include: AWEsome, WOW, stellar, surpassed expectation, cool, immaculate, mystery, fear & reverence, amazing, and many others. How would you describe it? Send me your one word descriptions. As we encountered this spectacular moment in history, I was reminded that our Creator is inspirational when it comes to HIS creation. May you continue to be awe-struck by God's handiwork. 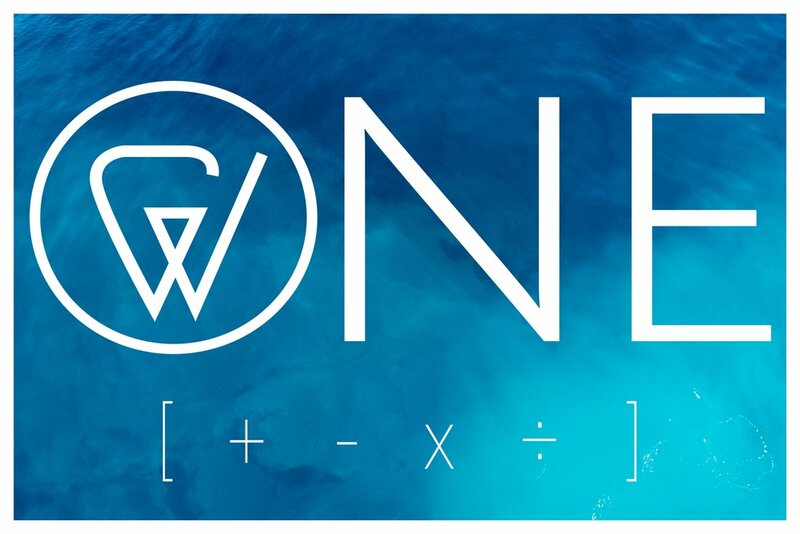 *This Sunday at Gateway we finalize the ONE sermon series at 10am. Join us as we discover more of God's marvelous math for our lives. What if you and your friends and family paused for two minutes and 40 seconds following the eclipse, to pray and give thanks to God? That's what I plan on doing. 109 degrees!! Yes, this is the projected forecast for today. The hottest date in Salem on record goes back to August 17, 2002. That day was 104. With the HOT day ahead of us, may I encourage you to stay hydrated. In addition to the practical ways to stay healthy, look closely at the words from Prophet Isaiah. "I will pour out water to quench your thirst." I'm so glad God cares for His kids and is able to meet the need. The Gateway Team is ready to pray and support you. Just give us a call. This Sunday, Gateway begins our ONE service, ONE sermon series with a pancake breakfast at 9am and service at 10am. *The Gateway Campus will be open today as a Cooling Center if you need a place to chill. *Reminder for Sunday Celebration Services in August -- ONE 10:00am service. Stacey and I are back from a memorable vacation at the Coast. Nineteen of us celebrated my Dad's 80th birthday at Bella Beach. I describe the get-a-way as follows: we had four amazingly memorable days and three sleepless nights. When was the last time you had a three night slumber party with your whole family? Crazy fun, but crazy loud with three grand-babies under the age of two; one big happy family under one big roof. Friends, this is similar to what Gateway is planning for August. Not a slumber party! ONE big month of connection as we combine our celebration services into ONE. For the month of August only, Gateway is going to ONE 10am service. During this thrilling month, we will eat together, pray together, sing together, dive deeper into God's Word together. For this ONE month, the focus will be on our shared PURPOSE & PASSION as a PEOPLE. Join us each week as we eat pancakes, give away watermelons, watch the solar eclipse, pray, and pursue what matters most. Here we are, right in the middle of summer, and it’s a busy season at Gateway! We have just finished a wonderful week at VBS with about 60 kids, and we celebrated on Friday with a 100 ft. slip-n-slide. Everyone had a great time and several of our children gave their lives to the Lord. A big thank you to all who helped to make it a success! This week, we have 14 teens and 2 adults at Camp Crestview. Please be praying that the Lord would meet each one of them right where they need Him most. I can’t wait to hear the stories. Gateway’s All Church Picnic is coming up on Sunday, July 30th. Join us on the front lawn following second service. We will be providing the main course and we’re asking everyone to bring a side dish and a pie for the pie contest. We will be celebrating baptisms as a family that day as well. If you wish to be baptized, please contact the church office or let us know on Sunday. There is still time. If you’ve already been baptized, come and cheer them on. It will be a blast! Looking forward to celebrating all that God is doing in His people!! See you Sunday! Do you remember the movie with Robin Williams, the military radio host, back in the 90's? He would start each broadcast with a booming, "Good morning, Vietnam!" Last Sunday, I shared a recommendation to start each day with a similar greeting. "Good morning, Holy Spirit!" I'm curious how your week is going and how you're starting each day? The encouragement from Sunday's sermon is to cultivate your relationship with the Holy Spirit. Friends, the Holy Spirit is our Advocate, Counselor, Standby, Strengthener, and so much more. We have access to the Father, the Son, and the Spirit. (Eph. 3:12; Heb. 4:16). With the sunny, summer weather and vacations, you may miss a Sunday at Gateway. However, you never have to miss the message. Listen on the Gateway App or online www.gateway4.com. I hope your 4th of July celebrations were memorable! We're gearing up for so many fun summer activities at Gateway. VBS is next Monday through Friday . . . Youth Camps are later this month . . . The All-Church picnic is July 30th. Check out the Gateway app or website for more info. Our country celebrates FREEDOM with 4th of July fireworks, BBQs, picnics, rodeos, carnivals, concerts, family reunions, wearing red-white-blue, and other fun traditions. How is your family celebrating FREEDOM this July? Two hundred forty-one (241) years ago, on July 4, 1776, the Continental Congress declared that the thirteen American colonies regarded themselves as a new nation, the United States of America. They were no longer part of the British Empire. Like you, I am grateful for FREEDOM and independence as a nation. In addition, I am also grateful for FREEDOM and DEPENDENCE on Christ Jesus. I am FREE because of His great rescue mission. I am FREE because of the Cross. I am FREE because Christ died and rose again . . . for me and for you. At Gateway this Sunday, we will celebrate FREEDOM during our Celebration Services with Communion at the Cross, encouraging worship, an inspirational look in the Word, and other memorable moments. Join us as we declare our dependence upon the Savior. This Summer, as you SEE the need, ask God to help you MEET the need. Summer has truly 'hit' the Willamette Valley this week. Look at Sunday's 99 degree forecast. Another great reason to go to Church is Gateway's Air Conditioning. Join us at 9 or 11 for a 'cool' celebration of music, ministry and more! Our Honduras Mission Team will be sharing stories and I will continue the Parables in Luke sermon series. Excited to see you! It’s Wednesday Gateway family . . .
Just a few more days till school is out, and Father's Day is this weekend. Hopefully, you have plans to honor and love on Dad. Gateway will be celebrating with some fun giveaways during service and hot dogs, root beer floats, and games right after second service. It will be our way of loving on the Dads that are here this weekend. Sunday is supposed to be nice so bring your favorite lawn chair or blanket and be ready to eat and play! Can’t wait to see everyone this Sunday @ Gateway! This Sunday at Gateway we will rejoice and celebrate. The music will be uplifting. The message will be equipping and encouraging as we look closer at Lukan Parables. We're honoring our Grads with gifts and blessings. We're praying over the Honduras Missions Team. We're hearing God-stories from Kenna James, who just returned from Kenya. The new Gateway Café will be open for fresh coffee. Kids Church will debut exciting summer plans for VBS . . . and so much more! See you at 9 or 11. Can you believe that today is the final day of May? Oh my, tomorrow is June. For some of you, this means the last days of school. Finish strong students. Gateway will be celebrating a lot in June. Join us on Sundays at 9 & 11 for inspirational music and an encouraging message. This Sunday, we open our brand new Café and we will launch our new series: Lukan Parables. This inspired passage of Scripture is a timely reminder to 'press on'. Press on with only a couple weeks of school left. Press on with the weather changes. Press on with your current health challenges. Press on with your financial situation. Press on with the laundry and dishes piling up. Press on with forgiveness over an offense. Press on with a greater devotion to God. So many ways to press on this season. May the LORD grace you and me as we 'forget what lies behind and reach forward'. Press on and keep Pursuing what matters most. I'm cheering and praying for you.